To make Guinness acceptable to vegetarian and vegan drinkers, the Irish brewer is changing the way it produces the popular creamy dark stout by eliminating fish bladder. Specifically, Guinness plans to swap isinglass, a gelatin made from fish bladders used to filter yeast particles from the finished product, with an animal-free method late next year. "Isinglass has been used widely within the brewing industry as a means of filtration for decades," the company said in a statement. 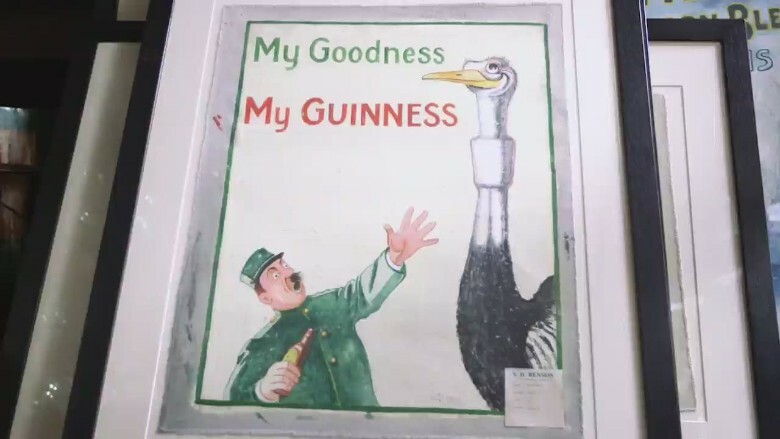 "However, because of its use we could not label Guinness as suitable for vegetarians and have been looking for an alternative solution for some time." The beer's listed ingredients -- barley, hops, yeast and water -- make it sound herbivorous. But traces of fish bladder can wind up in the finished product. The company did not give details about how it will replace isinglass. In previous statements, Guinness has said it was searching for a method that is "as effective or as environmentally friendly...whilst maintaining the quality of the liquid." Guinness beer is also brewed at locations in 49 countries, but the company said the new filtration method will only be implemented at its flagship brewery in Ireland. Introducing a vegetarian-friendly product could open up Guinness's sales to a new market as competition from craft breweries has squeezed the beer industry. Guinness parent company Diageo (DEO) cited microbrewery competition as a reason Guinness's draught sales weakened in 2015. Popular canned beers -- including most Anheuser-Busch, Heineken and Miller products -- have been deemed vegetarian friendly by Barnivore.com, which tracks animal ingredients in alcohol.